Compete against top talent from around North America at the coveted NFA7v7 National Championship at IMG Academy. Top teams from several qualifying tournaments around the USA and Canada will ascend upon the world-renowned training facility, IMG Academy to vie for the right to call themselves National Champions. Each team will have the chance to nominate one QB from their team to compete in this year's Cam Newton Skills Challenge! Check out the fact sheet for more information. For other hotel options, click here. *It's mandatory for every team to register as a member team with NFA7v7 in order to participate in this tournament. Register here! Click the schedule button for a breakdown of what the daily schedules will be. A pool play schedule will be determined prior to the event, and will be distributed to the coaches/team managers upon completion. 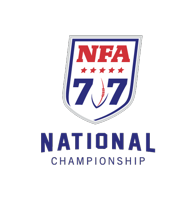 Need a car while in Bradenton, FL for the NFA7v7 National Championship? Enterprise is the official rental car provider of IMG Academy. 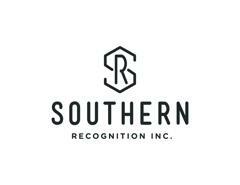 To receive an additional 5% discount off the lowest retail rate, book online through https://www.enterprise.com/en/deeplink.html?v=2&contractNumber=LIMG15 or call 941-751-2500 and mention code “IMG.” This relationship is in place at all locations from Orlando to Naples. The following major Florida airports are included: Orlando-MCO, Tampa-TPA, St. Pete-PIE, Sarasota-SRQ and Fort Myers-RSW. Enterprise will also deliver rental cars to campus if needed. 15 passenger vans are available upon request. Book early to lock-in your preferred vehicle class.